“Is that supposed to happen? I don’t think that’s supposed to happen,” are early lines in an animated parody of an energy company’s advertisement as first globs and then gushes of animated oil blot out the pastoral scene portrayed in the advertisement. Editorial cartoonist and animator, Dan Murphy of the Vancouver Province felt the same way after he was told his animated parody was removed from his paper’s website because that energy company had issued an ultimatum to Postmedia Network Inc., the parent company of the Province and nineteen other newspapers and magazines. On June 22nd apparently both the Province and Postmedia blinked when Enbridge Inc. reportedly threatened to pull 1 million CAD in ads. Dan was told that instead of calling Enbridge’s bluff, Vancouver Province editor-in-chief Wayne Moriarty removed the animation from the paper’s website for fear of losing his job. To Dan this was one of those “red flag moments.” He couldn’t stay silent. In the days that followed, Dan risked being fired by giving a limited number of interviews repeating what he had been told as to why his parody was no longer featured on the paper’s website. To read more about this incident, click on Political Cartoon Taking Aim at Pipeline Company Is Pulled by Ian Austen of the Media Decoder Blog of The New York Times, Vancouver paper denies Enbridge pressure to take down satirical video from the Edmonton Journal, and, The Province’s big, gooey Enbridge mess by Frank Moher at BackOfTheBook.com. The Cartoonists Rights Network International is very concerned about this incident of corporate interference into a newspaper’s editorial decision making. To quote Dan from the above interview with CRNI Deputy Director Drew Rougier-Chapman on July 5th, “If advertising can influence the news side, then it stops being a newspaper really and it stops deserving the support and faith of its readership.” Consequently we call on the executives of Postmedia and the Vancouver Province to prove to its readership that Postmedia and the Province are worthy of their readers’ support and faith. 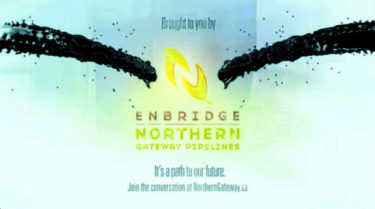 Repost the Enbridge parody. Anything less is a defeat for freedom of the press.